Retro 51 just announced several new models - we'll feature photos and a short description of each one here. These will be available for shipment in early June, 2018. They are not limited editions, so we should have a good supply of these pens. The pens will be available for pre-order on Wednesday, May 30. You will be able to reserve your pen on that day! 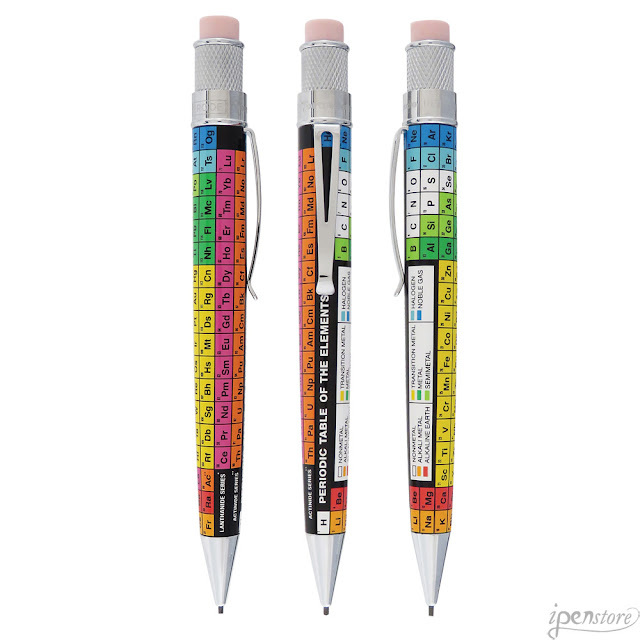 Retro 51 Tornado mechanical pencil, "Dmitri" printed with periodic table graphics. 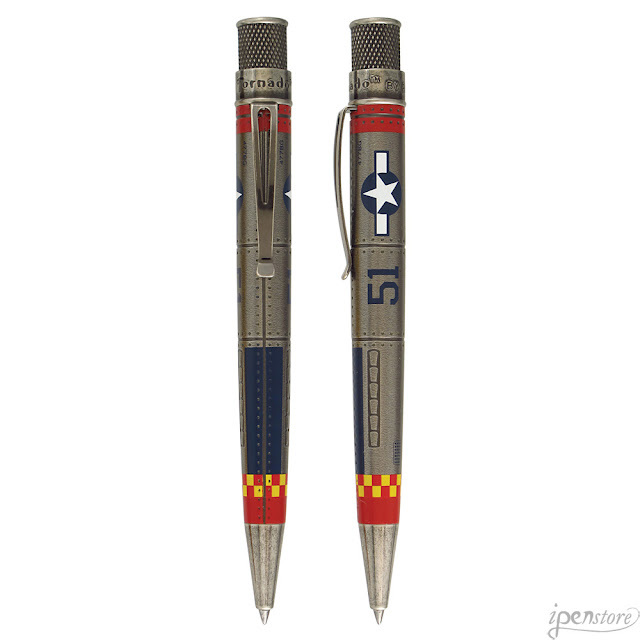 Retro 51 Vintage Metalsmith Series Tornado pen, P51 Mustang - a tribute to the WWII classic airplane. The P51 Mustang finely crafted pen is acid etched to produce "rivets" along the barrel and then stone washed to give the trims an antique silver finish. Retro 51 Tornado rollerball pen, "Buzz". The barrel is acid etched with a honeycomb texture and bees printed on the barrel. Finished off with a antique copper finish clip and trims. 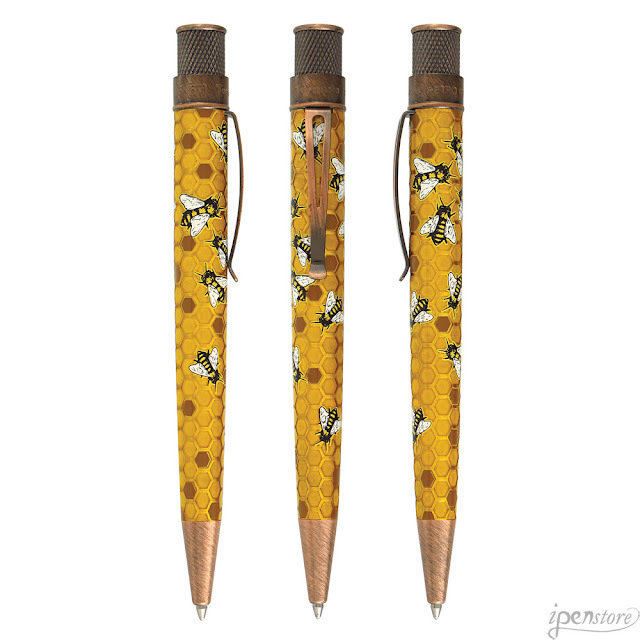 With each purchase of a Buzz pen, Retro 51 will make a donation to NW Honeybee Habitat Restoration. 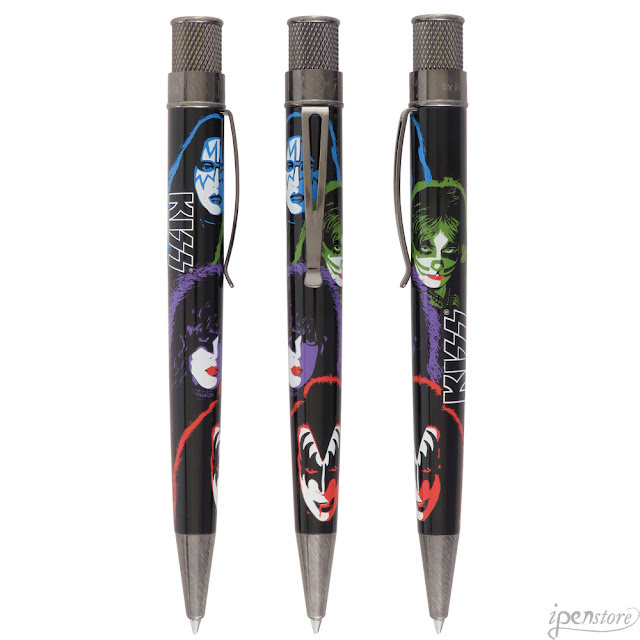 Write it out loud with this Retro 51 Tornado licensed KISS "rock'n rollerball" pen, 1978. KISS graphics are printed on the brass barrel. 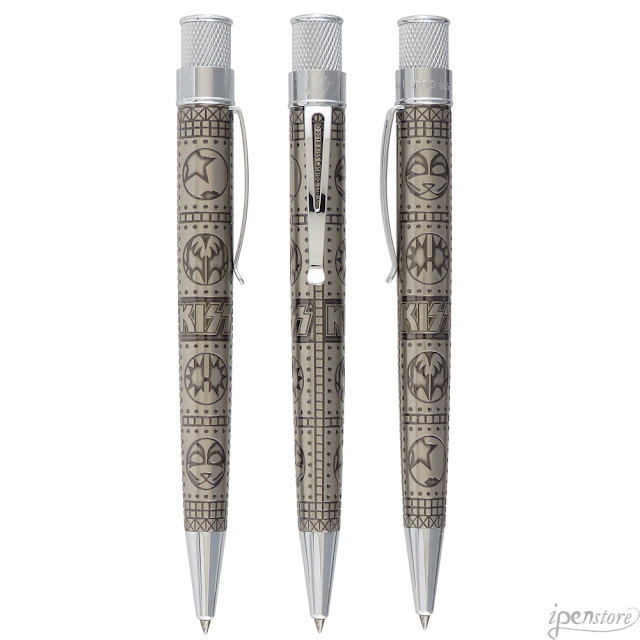 The pen is finished off with antique silver trims. 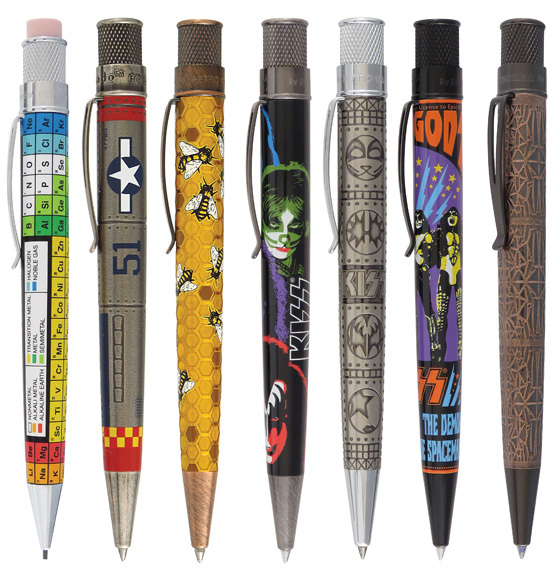 Write it out loud with this Retro 51 Tornado licensed KISS "rock'n rollerball" pen, Heavy Metal. KISS graphics are acid etched on the brass barrel, then given an antique pewter finish. The pen is finished off with bright chrome trims. 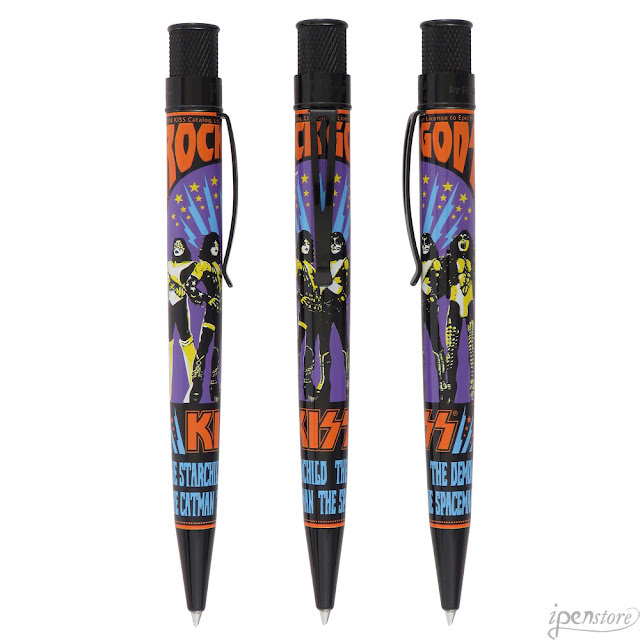 Write it out loud with this Retro 51 Tornado licensed KISS "rock'n rollerball" pen, Rock Poster. KISS graphics are printed on the brass barrel. The pen is finished off with black trims. 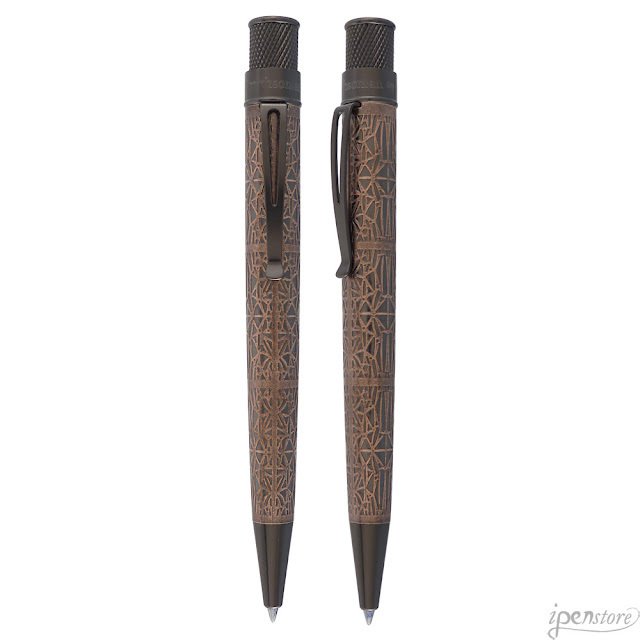 Retro 51 Smithsonian Series Tornado pen, Corona. Its deeply etched barrel is reminiscent of the ornamental bronze-colored metal lattice that covers the outside of the National Museum of African American History and Culture Building in Washington, D.C. Lead designer David Adjaye pays homage to the intricate ironwork crafted by enslaved African Americans in Louisiana, South Carolina, and elsewhere through the use of this design. Each rollerball pen is numbered on the top ring and is finished with matte black nickel accents.